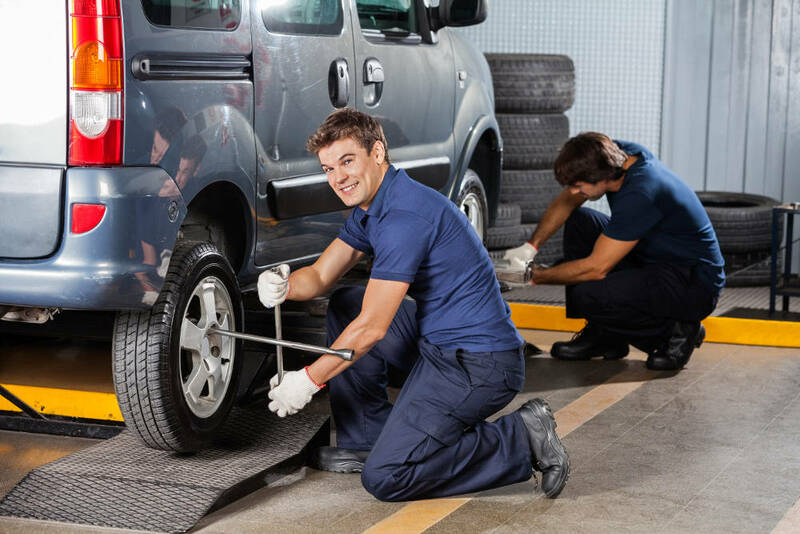 The winter season can take a toll on your vehicle. 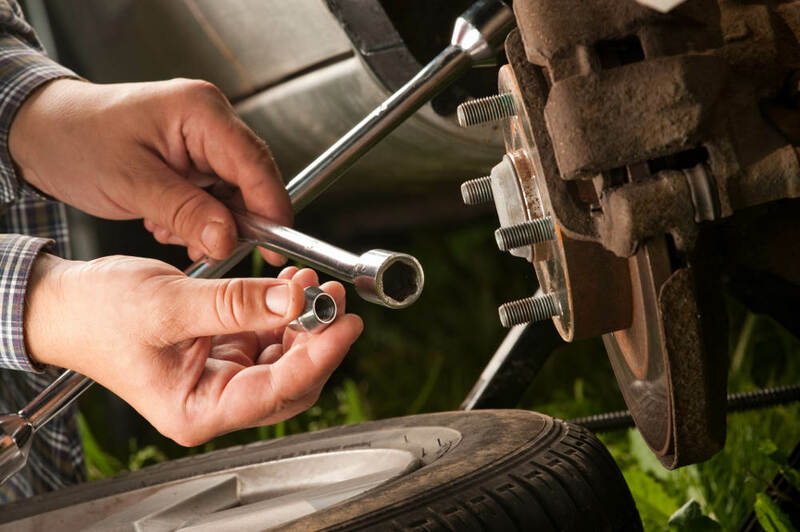 Before cold weather arrives, you can prepare your vehicle in numerous ways so that it doesn’t leave you stranded on the side of the road and so that it gets you through even the trickiest of weather conditions. Get the battery and alternator checked by a mechanic at Road Runner Auto Care in Apple Valley. Cold weather often means that your vehicle will require a bit more power to start, especially if it’s snowing or icy outside. 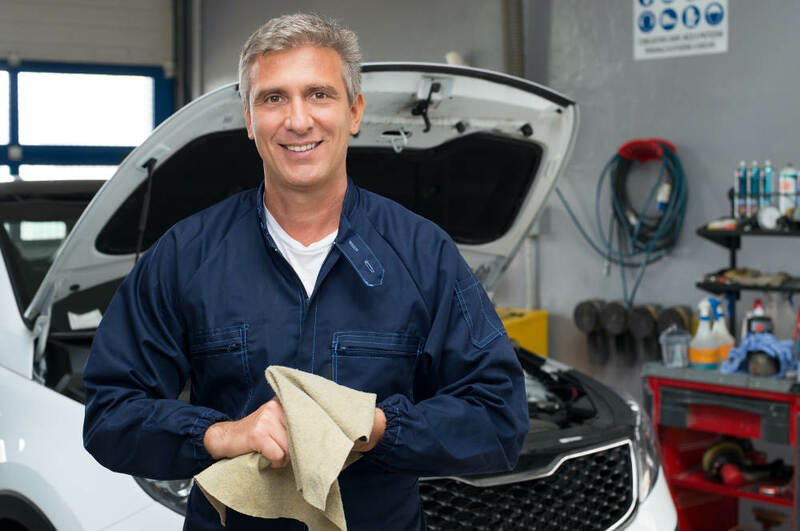 This is a time of the year when you might want to consider changing the battery and alternator so that it’s in the best condition for the vehicle. Make a supply box to keep inside your vehicle just in case you are stranded and can’t get home for some time. The box should include a blanket, nonperishable foods, water, a flashlight with batteries and a road flare to signal for help. You also need to keep warm clothes and a phone charger in the vehicle in case you have to walk to get help. The antifreeze in the car is important during the winter. It keeps the lines in the vehicle from freezing so that the vehicle will operate properly. 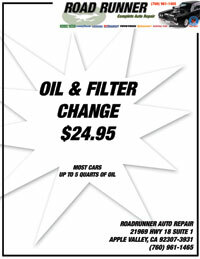 A mechanic at Road Runner Auto Care can check the antifreeze levels in the radiator and the reservoir to see if they are low. 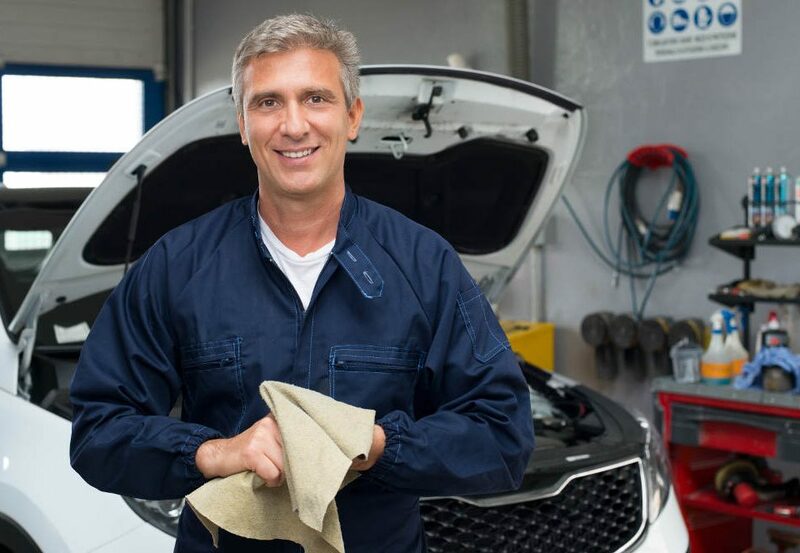 If the fluid levels are low, then you might want to get Road Runner Auto Care to check for leaks because antifreeze levels usually don’t fluctuate that much. If there aren’t any leaks, but you’re still losing antifreeze, then it could be going into the oil, which usually means that there is a crack in the head of the motor. 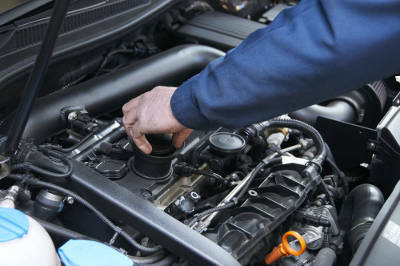 This is also an issue that needs to be fixed as soon as possible because it will cause the fluid to quickly be depleted and can sometimes cause the motor to stop working.